in 2009 so customers can now easily design, price and order wainscoting panels online in minutes. Our passion is wainscoting. We have developed advanced programming and manufacturing techniques that allow us to make custom complex panels very efficiently. 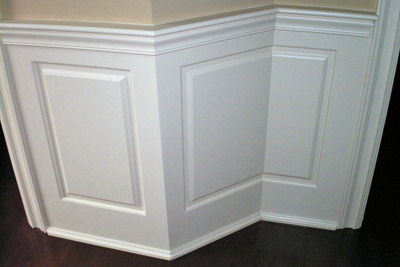 This capability allows us to offer premium wainscoting at affordable prices that will ship in 5 business days. 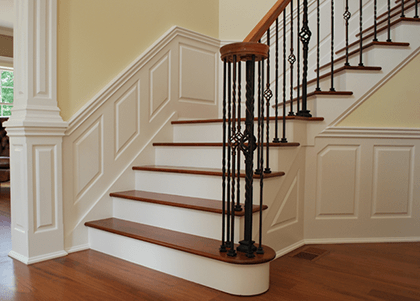 We are the fastest growing wainscoting company in the country for good reason; our service is unparalleled and we make custom wainscoting fast, easy and affordable. In the last 7 years we have shipped custom wainscoting panels to thousands of customers across all 50 states and Canada. We launched AmericanBeadboard.com in 2010 in response to the high demand for our premium beadboard wainscoting. Our mission is to provide great beadboard that is reasonably priced and will ship in 3 to 5 business days. Our beadboard panels are 5/8" thick and are available in premium MDF, Moisture Resistant MDF and Fire Rated Class 1/A MDF. We also manufacture one piece custom Cabinet Doors and Drawer Fronts. Click on the Express Cabinet Doors Brochure icon for details. Match your Wainscoting Panel Profiles with our Matching Cabinet Door Profiles. View our facebook postings for wainscoting ideas! Castlewood LLC was formed in 2004 and provides high quality millwork to builders, remodelers and homeowners throughout the US and Canada. Our Wainscoting America panels, American Beadboard panels, built-in cabinets, closets and custom kitchens have been featured in many award winning homes.